BAGHDAD — Iraqi novelist Alaa Mashzoub was a secular civil society activist who used his bike to get around Karbala's infamous traffic and road closures. He was also an outspoken critic of foreign interference in Iraq and political meddling by powerful Iran-backed militias. 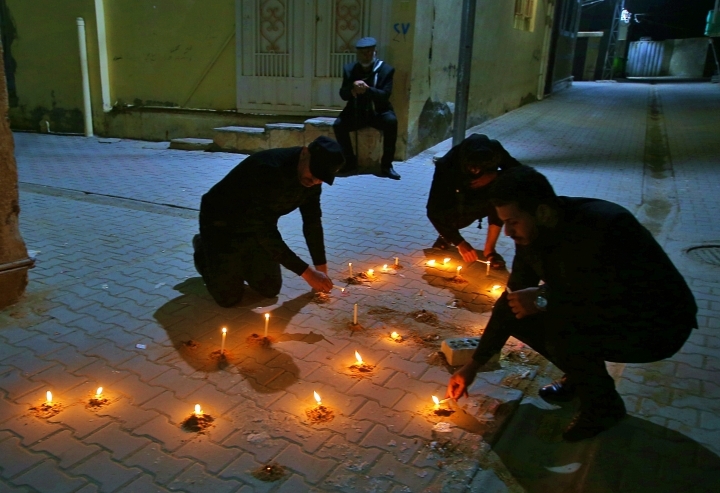 Mashzoub's killing was the latest in a spate of assassinations targeting prominent figures in Iraq, including several activists linked to the protest movement in the southern city of Basra as well as a former beauty queen and social media celebrity. 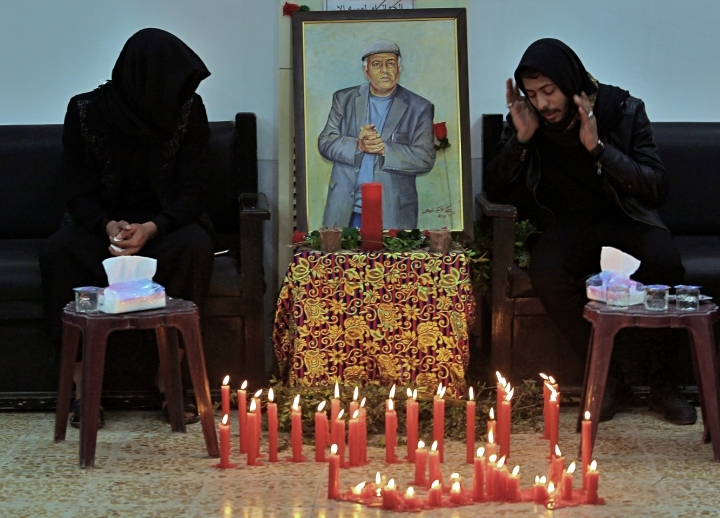 The killings have raised fears of a return to the kind of attacks on prominent figures that plagued the country at the height of its sectarian strife. 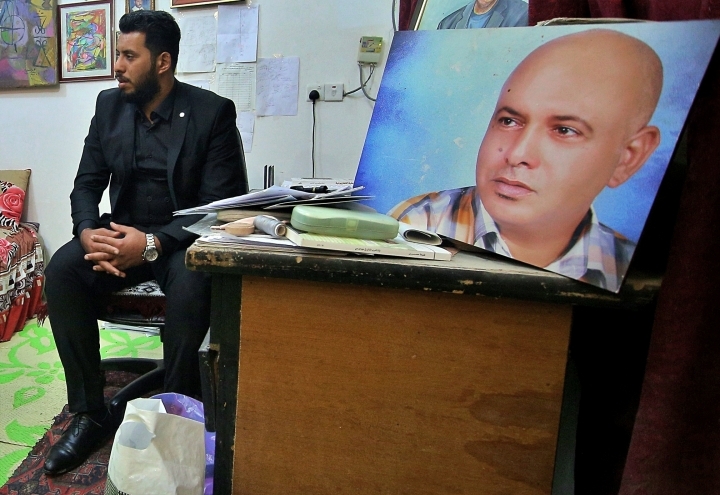 "They killed us by killing Alaa, but we'll keep him alive through his pen," Qassim Mashzoub, Alaa's brother, told The Associated Press on Tuesday. Iraq is still recovering from its bloody fight against the Islamic State group, and riots have repeatedly broken out in the south over the authorities' failure to provide basic services. On Wednesday, dozens of people including Mashzoub's colleagues staged a protest, marching to Tahrir Square in central Baghdad carrying pictures of him along with Iraqi flags. They called for the perpetrators to be arrest and severely punished. Outside the Writers' Union in Baghdad, around 100 intellectuals staged a sit-in, carrying black banners with Mashzoub's picture on it. 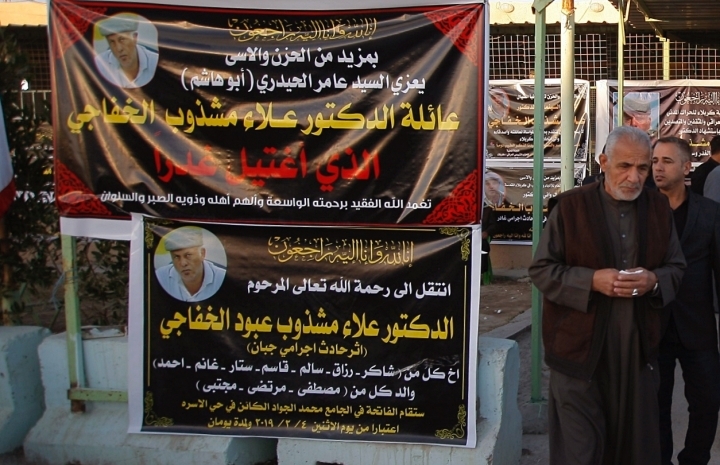 Alaa Mashzoub, 51, was father to three boys and a girl. He has 20 published books, including several novels and short story collections that won local and regional awards. He wrote extensively about Karbala's history and culture, and about Iraq's once-thriving Jewish minority. "In his writings, he spoke out against corruption and criticized neighboring countries for their intervention in Iraqi affairs. Everyone knows Iran and Turkey are present in Iraq, this is not a secret," said his brother. The U.S. Embassy in Iraq offered its condolences to Mashzoub's family and friends, calling it a "senseless act of violence." While the motive for Mashzoub's killing is not known, Qassim Mashzoub and others on social media speculate that a Facebook post, in which Mashzoub spoke about the late supreme leader of Iran, Ayatollah Ruhollah Khomeini, may have been the trigger for his killing. In the posting, Mashzoub wrote about the street in Karbala where Khomeini lived for nearly 13 years before he traveled to France, criticizing the Iranian leader for then turning against the country that hosted him for so long. "I expect that those who assassinated him are the militias who did not appreciate Alaa's writings," Qassim said. He added that a week before he died, Alaa told his family he felt he was being monitored and expressed concern that he would be killed. On Saturday evening, Alaa Mashzoub attended an event at a local cultural center during which attendees were discussing the Iraqi soccer team's performance at Asian Cup games in the United Arab Emirates. Nawfal al-Hamadani, a member of the city's union of writers, said Alaa left early, saying he wanted to get home. He rode his bicycle and headed in that direction. 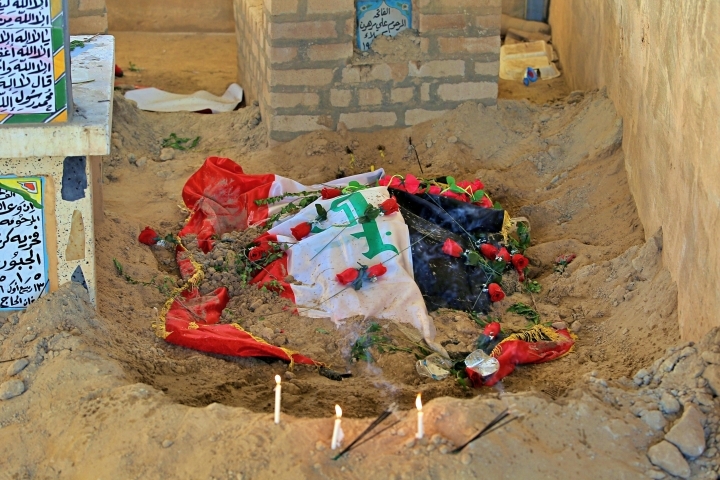 The killing shocked many in Iraq and triggered criticism of security forces for failing to protect people. "We will uncover the perpetrators before the government does," Qassim said. None of the assailants in last year's assassinations have been apprehended by security forces. 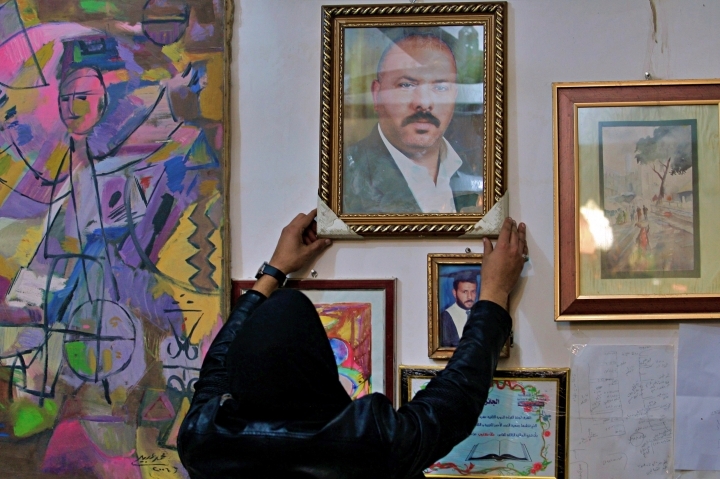 The militias were integral to Iraq's war against the Islamic State group in the past few years, but with the war declared won late last year, attention has turned to Iraq's high unemployment and decaying infrastructure. Many now resent the militias for what they see as rampant corruption and meddling. 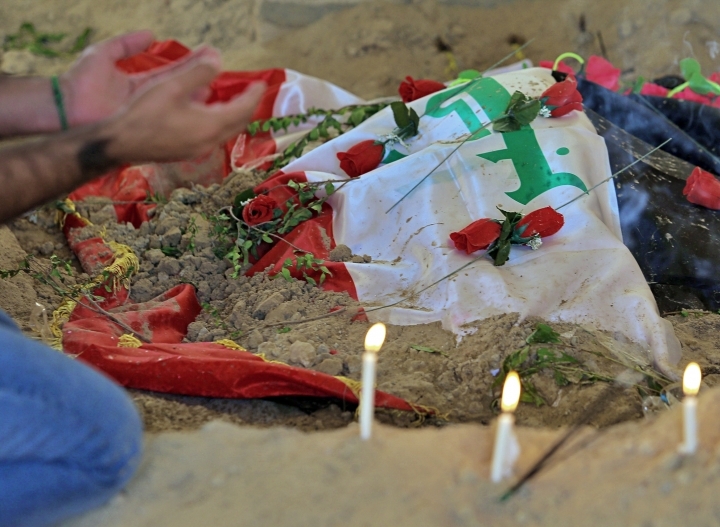 On Sunday, Mashzoub's coffin, draped in an Iraqi flag, was carried by colleagues along a main road in Karbala, amid calls of Allahu Akbar, or God is Greatest. "The cultural scene has lost one of its special authors and creators," Iraq's Culture and Tourism Minister Abdul Amir al-Hamdani said in a statement on Sunday. 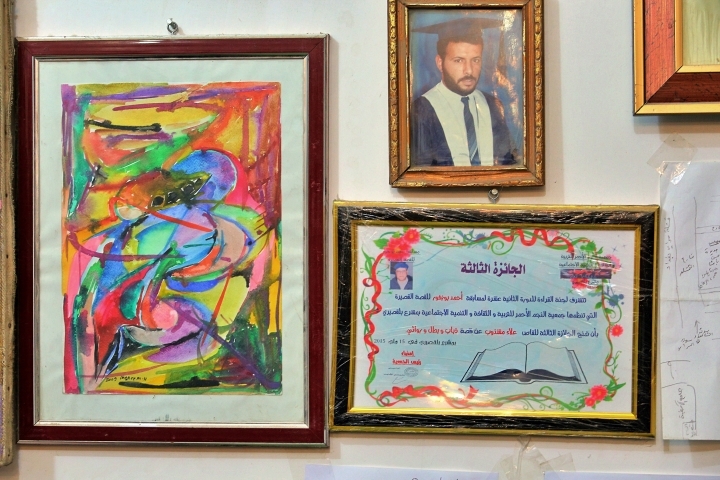 PEN America said Monday that the assassination of Mashzoub is a "horrific attack on creative expression in Iraq." 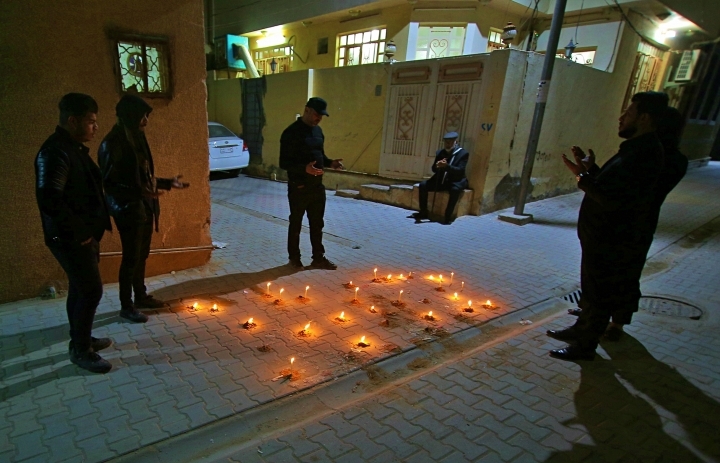 "Holding the perpetrators of this heinous crime accountable is of paramount importance in preserving freedom of expression and a vibrant cultural and civic life in Iraq," it said in a statement.